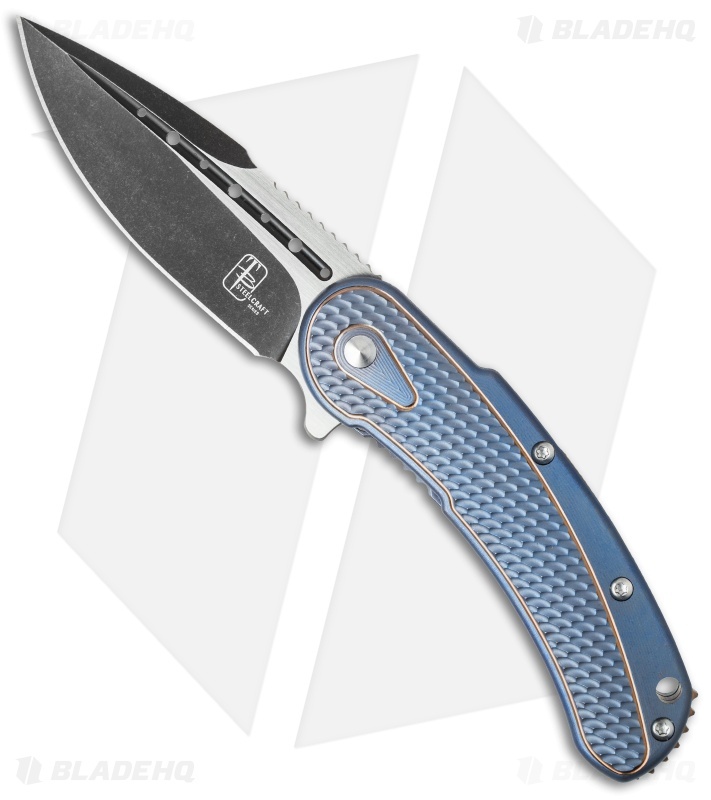 Begg's Bodega is an iconic knife and now it's available in a smaller size as the Mini Bodega flipper! Utilizing the manufacturing capabilities of Reate Knives, the Steelcraft Series Mini Bodega is available in quantities that would otherwise be impossible, while maintaining the extremely high level of fit and finish that Begg Knives is known for. 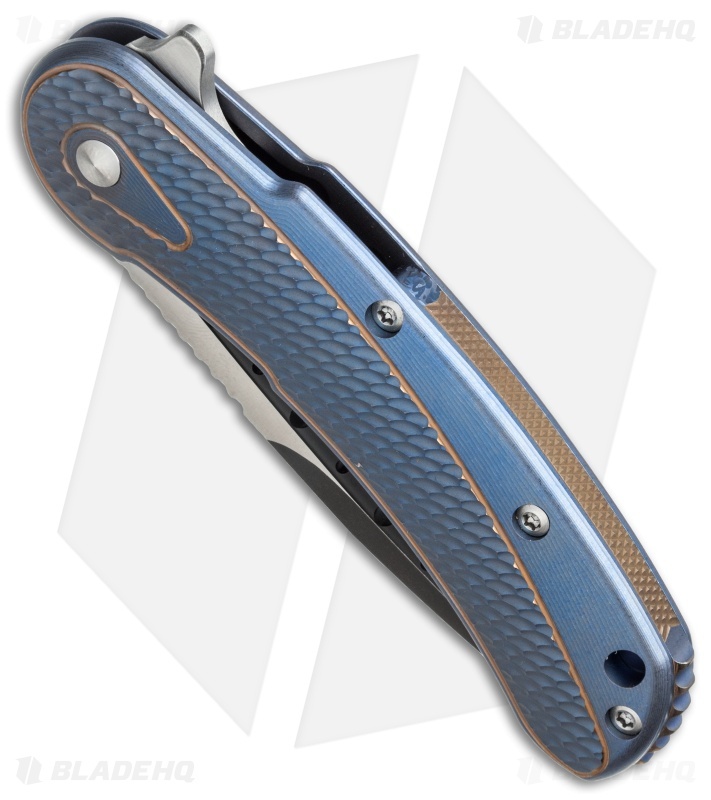 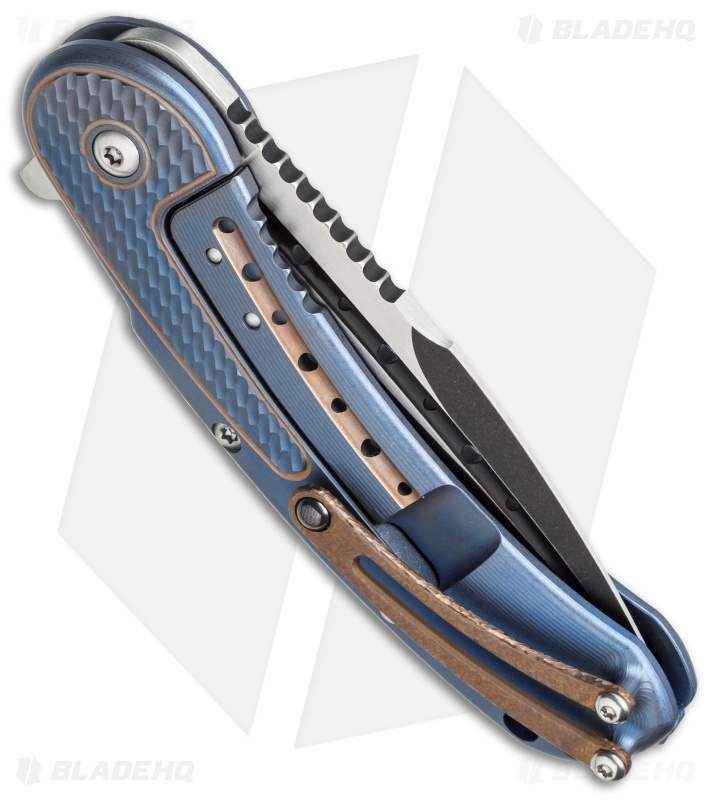 This Mini Bodega has a blue and bronze finished 6Al4V titanium handle with a framelock that features a nested steel lock tip insert. Back spacer and pocket clip feature the cracked ice texture, which is generally only seen on custom Begg Knives. The blade is CPM-S35VN steel with a two-tone, black/satin finish and slick IKBS ball-bearing action.